The Legend of Zelda: Skyward Sword is the 16th game in the series. It was developed by Nintendo Entertainment Analysis and Development and published by Nintendo for the Wii game console. It is said to be the longest Zelda title in terms of playtime and development, with the development period lasting a little over 4 years. It was released in Europe on November 18, 2011, North America on November 20, 2011, and Japan on November 23, 2011. This is the first Zelda title made specifically for the Wii, as Twilight Princess was not made with the Wii in mind. This game takes place before the events of Ocarina of Time 3D, even setting up some of the main plot points in Ocarina of Time. Nintendo has stated that Skyward Sword is one of the earliest game in the series, but not the first. The game begins on Skyloft, a rock that was lifted to the sky by the Goddess ages before the game begins. When Zelda falls to the land of Hyrule, Link sets off on a quest much larger than anyone could have imagined. As Link, you must travel across the lands of Hyrule and soar through the sky, slicing each enemy with precision. Currently the game has been released on the following formats: Wii (2011) as a standard copy and as a Bundle (Game, Zelda 25th Anniversary Soundtrack, Golden Wii Remote Plus). 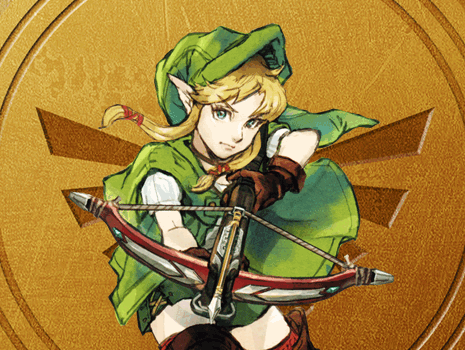 The following pages contain guides and information about Skyward Sword.